Professional electricians for domestic, commercial and industrial industries. We cover North Wales and surrounding areas. 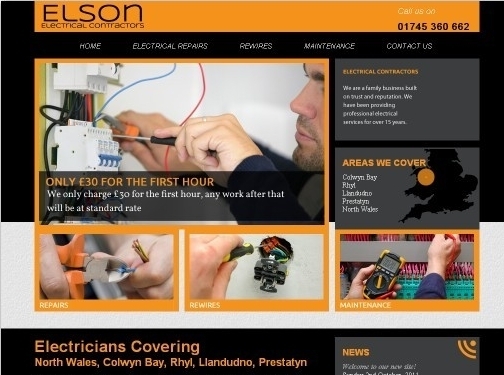 UK (Abergele, North Wales) based company providing electrical services. Website includes details of services provided (with video introduction), areas covered, pricing, associations belonged to, certifications (mentioned in video introduction), full company contact details.